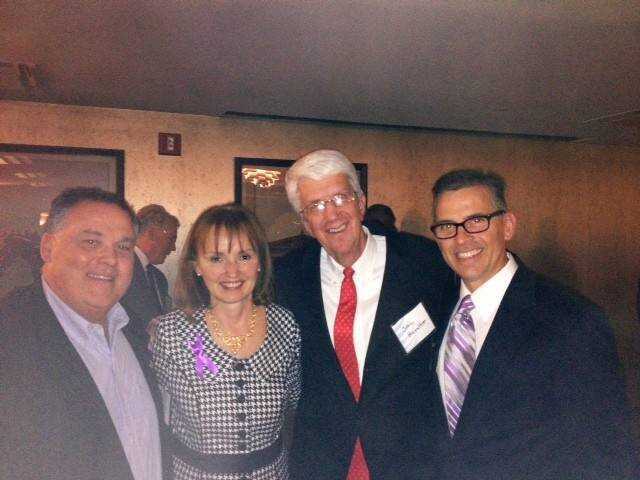 Dyersburg Mayor John Holden, House Speaker Beth Harwell, John Hamilton, and Rep. Bill Sanderson. The first week of the 2014 legislative session here in Nashville has come and gone. As usual it was productive and I had a chance to meet with a number of friends and colleagues. The beginning of the week I had meetings with leadership to discuss legislation that was left on the table from last year. This year we have promised to make private sector job creation a top priority. After it was announced that Tennessee was "2013 State of the Year" by a national publication, Business Facilities Magazine, it is very apparent that we need to continue the growth and prosperity that our state has seen over the last few years. On the first day of session and with the help of some other legislators, we got the Judicial redistricting issue from last session put finally to rest. This was going to be very disruptive to the district and very confusing to anyone who finds themselves having to go or work in our court system. Many thanks to those who helped. On Wednesday, I met with Dyersburg Mayor John Holden and the treasurer of Tennessee David Lilliard. Later that evening, we all went to the annual AT&T reception where Governor Haslam attended. Governor Haslam was most gracious to our group from Dyersburg, including John Holden and John Hamiliton and found time to discuss some matters and wrapped his visit up with a picture. After a couple of legislative days, I can already tell that we will be wrapping up our official business early again this year and I look forward to helping save the state money by getting our work done early. This year there will be some great legislation and a few that will be considered controversial to some. With wine in grocery stores, prescription pseudoephedrine, a revision of the guns in trunk law, and many other that will make headlines; I will certainly have my hands full. My assistant planned and scheduled all the adult and youth leadership group visits for this year and it should be an exciting time for all those who come visit in Nashville. Look forward to giving all of you a good update next week and God Bless!